Quality menus instantly give a first impression of your restaurant that will all but ensure a return visit. Convey almost any message through your customized menu and have it completely tailored to your business. 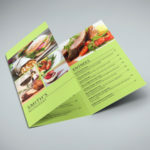 If you’re a restaurant, quality menu printing is an absolute essential. 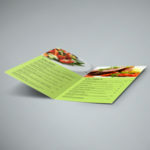 A print menu is a critical piece of restaurant marketing. Before customers eat a bite of your food, they’re often looking at your menu. Even before customers get a taste of your restaurant’s food, you can already make a good impression with appealing and professionally made menus. Printing a menu in full color and with premium paper stock can effectively convey your image and entice customers to sample your fare. 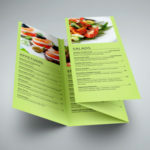 As a trusted name among menu printing companies for nearly 30 years, PGprint is proud to offer excellent quality menu printing services. With full color printing with full bleed, premium paper stock, and various sizes and folds to choose from, you can easily create menus that speak volumes about your brand. Set yourself apart from other restaurants with visually attractive menus. Printing services by PGprint let you give your customers something to look forward to when they place an order. 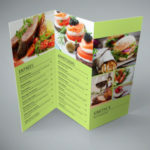 At PGprint, we understand how important a role your menu plays in your restaurant’s success. 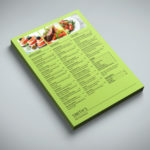 Let us help you stay competitive in the food industry with our professional menu printing services.